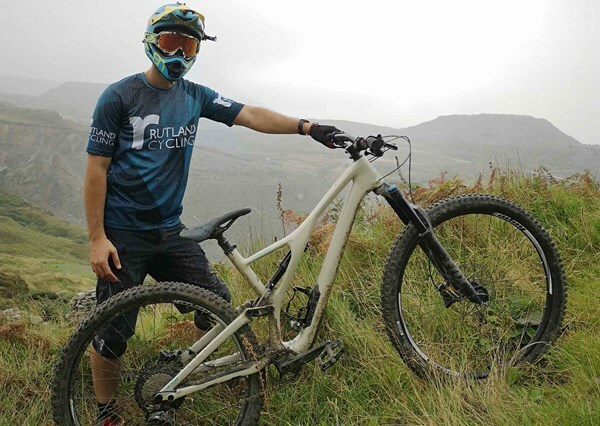 This article was written by #TeamRutland ambassador and avid mountain biker Archie Davies. Archie has his own blog A Gravity Man. Find out more about Archie. Where you ride your bike is as important, or really more important than what you ride it on. I remember hurtling down a French Alp on a beaten up shoddy hardtail with Euro spec brakes and loved it! It’s easy to drink the Kool-Aid and start dreaming of riding the latest carbon enduro with Kashima coated suspension, and yes they’re awesome to ride, but where you ride and the feeling you get riding should be your focus, if you’re a true MTB'er that is. The challenge you’ll find once focusing on riding is where to go? Unless you live in Wales (if so, you can stop reading this now) you’ll likely be straining to see any nice singletrack too close to home, especially if you’re living in the middle of the country. Luckily there is however one venue that’s a firm favourite of mine – its only 1.5 hours from Cambridge with a heavy right foot and serves up some great descents as well as climbs. I’m talking about Cannock Chase, the home of MTB’ing in the midlands. Just north of Birmingham, its well connected via the M6 and has two very good trails. The Dog and the Monkey. The Dog being slightly easier than the Monkey, with less climbing and technical features, but both are great fun for the experienced and the novice. I have however been to “The Chase” many, many times and to be honest, it was getting boring. The feeling of riding unknown trails never gets old; “Shall I lay off the brakes and risk it round this blind corner?” Luckily for me, one of my best mates lives on the edge of The Chase so we opted for the route less travelled. Cycling in from Brocton, you climb fast on steep, sandy single track in between the bracken. Keeping that steady power delivery front of mind to make sure you don’t lose traction on a climb even walking would be tricky on. Once up top you’re greeted by mounds of heather with what looks to be as many singletrack lines as you can shake a stick at! Granted they’re all deer trails, but they do a great job of doubling up as a MTB routes and lead you to some great off-piste trails. From this point onwards we took whatever turn looked most interesting. From recently dug secret trails, to well-worn favourite descents, you’re literally spoilt for choice. An hour in, were we still riding trails my friend Jack hadn’t ever touched, with us now questioning why we stuck to riding the official trails for so long, this was awesome! As if we planned it on purpose, as we finished our flat whites and shortbread at Birches Valley, now the opposite side of the chase to where we started, the return journey was about to tick every remaining box. Two sections stuck out as favourites. After making a left into deep thick forest we were greeted by a forest opening, and to our left a deep steep gully was making its way down through the forest. After a few snaps at the start, we hiked back up and take a full run down, first rolling down the steep entrance of the gully, followed by threading the needle down the gully in between the birch trees. We went as fast as we dared with us having to think fast and read the trail to keep us on two wheels. Half an hour later as we leave the thick forest and return to the open heather covered moorlands, we stumble upon descent after descent. Unfortunately physics is never wrong and it was only a matter of time until after hurtling down numerous singletrack we were faced with the long climb back up. However we got to this point after riding flat out down, on what can only be described as ‘ridge lines’ yet due to the landscape we didn’t quite get the Red Bull Rampage vertical height sense. Nonetheless, we were faced with trails only 6 inches wide with heather and bracken spilling over into the way and the now pebbles under tyre leading to long slow drifts down through the heather moorlands. It probably didn’t look that good, but it was, awesome. So 26km later we arrived back, put the kettle on and reflect on a rather surprising ride. We knew it was going to be interesting, but we didn’t expect we’d have anywhere near the levels of quality riding that we did. Cannock Chase, whether you’ve been there before or not at all. It’s worth a look, or two, or maybe three. I’ll back there later in the year, yet this time I’ll be taking a right, rather than a left. I can’t wait to find out what’s in store! Riding a bike started out for me with racing my brother round the patio, to now evolving to regular trips to Wales for all day epics. Mountain biking has been with me for pretty much all my life and so has Rutland Cycling from an early age, fuelling my growing addiction for more bikes and gear. As the saying goes, all things that go up, must come down, with the down being important. From Downhill to Trail, it’s all about those descents. Keep your fingers off the brakes, pop those jumps and rail those berms. Let’s not kid about, climbing is a means to an end. So be it the sandy berms of Chicksands to the rocky outcrops of Anton Stiniog, it’s time to point the bike downhill and let that adrenaline flow! So, with fatherhood on the horizon I’ve got just enough time to see the sights, ride the bikes and get as much done as possible. Luckily Rutland Cycling are here to assist again in my final push. It’s time to clip in.